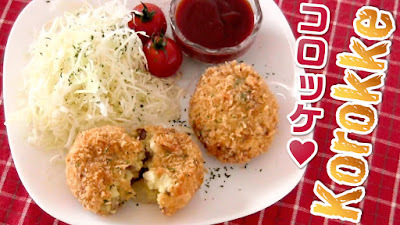 Korokke (Croquette) is a parcel of food such as minced meat or vegetables, shaped into a cylinder or circle, encased in breadcrumbs and deep fried. 5. Make flat and oval-shaped patties. Coat each piece with flour, dip in beaten egg, and coat with panko . 6. Deep fry them in oil at 170C (340F) until cooked golden brown.